At DCS Multiserve, our teams specialise in delivering high-quality industrial cleaning services to businesses across the North East. 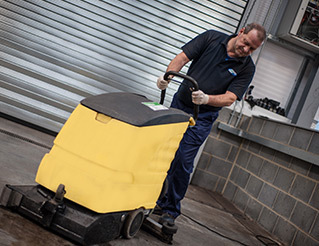 With extensive experience in industrial cleaning, we can provide both the regular cleaning, and more occasional shutdown cleaning, for all parts of your site. Our knowledge and expertise enables us to cover every aspect of industrial cleaning. 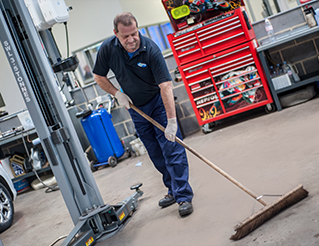 Warehouse floors, production areas and industrial machinery are just a small part of our work, all of which are cleaned and maintained at the highest standards. We can also provide ventilation cleaning, and high-level cleaning for the hard-to-reach areas of your site. For food production environments and staff canteens, kitchen deep cleaning is available too — perfect for creating a hygienic environment for food preparation. If you need to maintain the exterior of your premises, grounds maintenance, graffiti removal and brickwork cleaning is also available as part of an industrial cleaning package. Our trained operatives conduct risk assessments, and provide you with method statements that are in-line with the requirements of your facility. Our industrial teams are also on standby and with a 24-hour helpline for all emergency cleaning requests. Contact us today for advice on all industrial cleaning services.